WBC World Female Super Bantamweight Champion, Fatuma ‘Iron Fist’ Zarika has promised to give Zambian challenger, Catherine Phiri a fight of her life when they clash on Saturday in Nairobi Fight Night spectacular. This will be a rematch of their bruising encounter in December last year, where the Kenyan boxing queen won by a unanimous decision. “The training went on well despite the cold weather in England. I still maintain I will give Phiri a beating that will make her whole body ache. Before I left, I stated she would not eat meat for a week when I’m done with her and that has not changed,” Zarika roared. Retired former WBC men cruiserweight titleholder Tony Bellew, is among those expected in Nairobi during the week from England, to witness what is deemed as East Africa’s biggest annual boxing event. Zarika is back in the country from Liverpool, the UK where she has been training for the last one and a half months in readiness for this week’s fight. Zarika, who was accompanied by her British trainer Declan O’Rourke and Tanzanian rising sensation, Hassan ‘Champez’ Mwakinyo were accorded a rousing welcome at the Jomo Kenyatta International Airport. The two had been in the UK courtesy of their sponsor, gaming firm SportPesa, to prepare for the Nairobi Night Fight slated for March 23 at the KICC Lawns. 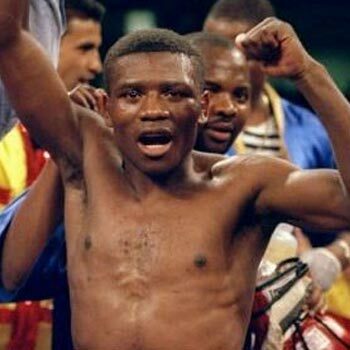 The East African pugilists are part of the advance team from the UK expected for the anticipated boxing showpiece that will be crowned by the title fight where Zarika will put her belt on the line against Zambian challenger and former WBC champion, Catherine Phiri. Other than the Zarika’s title fight which is the highlight of the event, the Nairobi Night Fight will also feature three undercard fights, including Mwakinyo’s. “It will be a better fight than the first, it will not be easy and I have to work hard for the win. What I can ask Kenyans for is to pray for me and turn out in large numbers for support and I’m determined not to disappoint my home fans,” assured Zarika who will put her WBC title on the line for the third time after beating Phiri and Mexican Yamileth Mercado. Zarika earned the belt after dethroning Jamaican Alicia Ashley from the crown on October 1, 2016 in a shock victory in New York.